This classic southern restaurant is housed in a historic home in Vicksburg, MS. 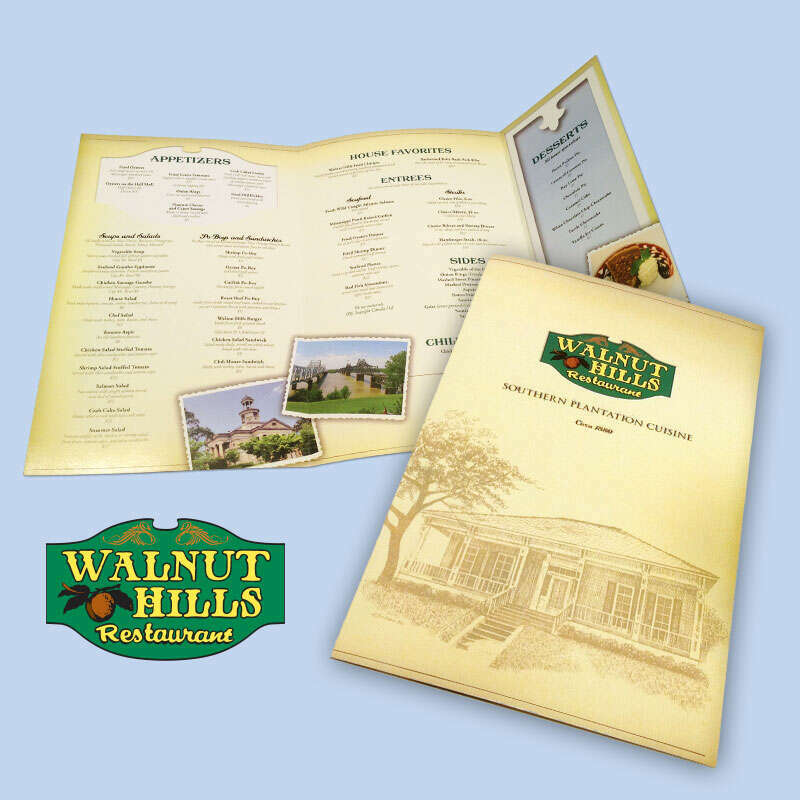 This menu was inspired by elements within the home. For example, the unique pierced column architectural element was mirrored on the inside flap. The color scheme and the logo were pulled from photographs we took of the building as well.